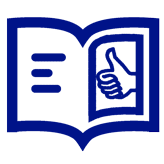 Anders Roed is in a difficult position for a marketing manager: He is not allowed to advertise on television, in newspapers or on the Internet. Yet the head of marketing at Ringnes in Norway has seen a succession of foreign visitors recently keen to gain insights from him. That is because as Norway’s biggest beer producer, Ringnes has great experience of operating in a “dark market” – a situation where little or no advertising is allowed. The visiting executives have come from the Carlsberg Group, Ringnes’s owner, which is about to see Russia, representing about 40 per cent of group sales, plunged into a dark market. “We have had a few people coming to Norway to see how it works in a real dark market,” he says in his office in Oslo. For Carlsberg, the leading beer brand in Russia with nearly 40 per cent market share, that is welcome news. 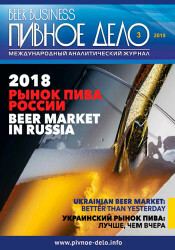 Russia was meant to be the promised land for the Danish brewer, which in recent years has taken full ownership of Baltika, a St. Petersburg-based company that is Europe’s leading beer brand. But regulations designed to crack down on excessive and underage drinking, combined with the financial crisis and poor barley harvests, caused Carlsberg’s sales, profits and market share to tumble in the country and investors to query its strategy of concentrating so heavily on Russia. The marketing ban – TV and Internet advertisements have been outlawed since the summer, and print advertising will be illegal from Jan. 1 – represents a second wave of regulatory tightening. But using some of the tools developed in Norway, Carlsberg has fought back to record three consecutive quarters of increasing market share. “I am very pleased with the trends we have been seeing in Russia. We did a lot of work to change the business model and it is good to see that we are getting the benefit from it,” says Jorgen Buhl Rasmussen, Carlsberg’s chief executive. Carlsberg’s market share, which slipped from about 40 per cent in 2010 to 37 per cent at the end of 2011, was 38.9 per cent in the third quarter. 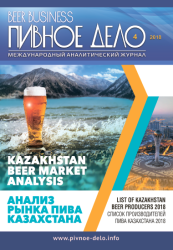 Its three biggest competitors in Russia – SABMiller PLC, Anheuser-Busch InBev SA and Heineken NV – each have about 15 per cent of the market and will be similarly affected by the ban. So in Norway the recent launch of a one-litre can for Ringnes proved to be a big success, and Mr Roed places a lot of attention on what is written on the front and back labels. Similarly in Russia, Carlsberg has benefited from introducing products such as 2.5 litre plastic bottles and multipacks. 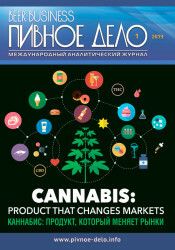 New product launches accounted for 15 per cent of its Russian volumes in the year to July. Denis Sherstennikov, head of marketing for Baltika, highlights several things the brewer has done. It has introduced new designs for beer fridges in shops with special sections for new products, and has relaunched Tuborg successfully. Baltika was also able to conduct limited marketing, such as its sponsorship of the 2014 Winter Olympics in Sochi. Carlsberg still faces big questions in Russia. Besides the advertising ban, tax increases will raise the price of beer and questions remain about its dependence on a single market. But Mr R?ed at least has good news about the financial aspects of being in a dark market.